Here at Signarama we are doing a new monthly initiative featuring one business we have provided signage for each month. 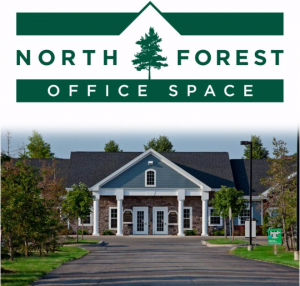 The very first business we would like to introduce is North Forest Office Space. North Forest started in the Denver area in 2008 and we have quickly grown to meet the needs of businesses in the Northern suburbs. We have five office park locations which are located in Commerce City, Brighton, Thornton, Westminster and Firestone. We pride ourselves on being able to provide affordable, upscale and accessible offices for our Medical, dental and professional users. We are a growing business in the Northern area! We look forward to helping all of our current and future tenants bring their businesses and personal dreams to life with the office spaces that we are able to provide.